Thank-you for your comment on my blog. It is lovely to "meet" you! I'm sorry to hear that you have to live with something similar to CFS, but I appreciate your understanding and interest. I have visited your web site and your blog, and I am amazed by your collages. I've never seen collage used in this way and it is so painterly. I especially love the ones of London, as I have rather a soft spot for London too. Anyway I just wanted to say thank-you and I look forward to dropping by again. Thanks so much, Amanda, for your kind and supportive message, and for checking out my sites. Indeed, I'm glad we've "met" too. I don't do the collage work (nor go to the UK) much anymore due to all the health stuff. It takes more than I am able to give at the moment. But I enjoy having them on the web, and it brings me much pleasure if people still enjoy looking at them. I guess this blog and what I'm doing now is not so dissimilar to the way you describe your situation—having a desperate need to create and to stay connected to some kind of creative life, within the limits of what is physically still possible, yet meaningful. Your willingness to write about your life as an artist with something as debilitating as CFS is helpful, not just to me, I'm sure, but to many others in similar circumstances. I know it's not easy. Thanks again for stopping by. My fingers are crossed for August! Good luck. 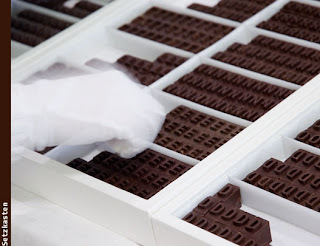 Hmm…Kathi… I can imagine that's the sound of chocolate printing?